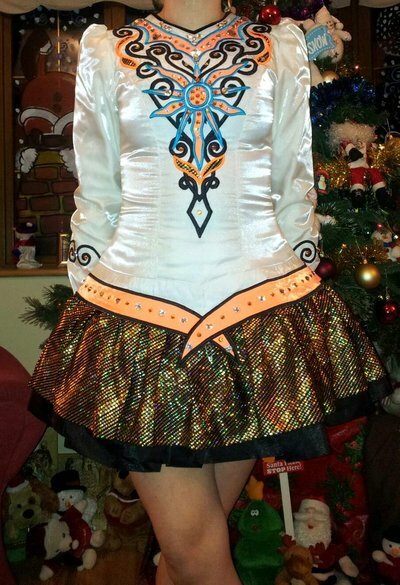 Stunning Irish dance dress for sale! 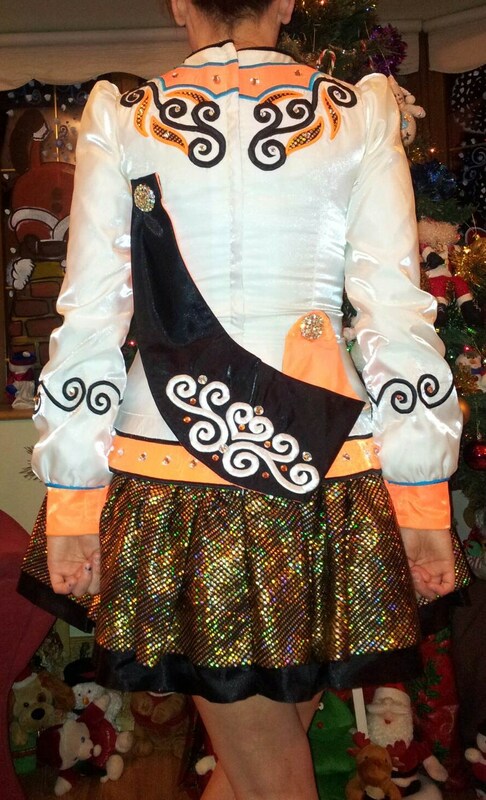 made by Kilkenny dress designs in Ireland. Dress is currently wore by under 18 open championship dancer who is the Leinster Champion of 2014 and 3rd at All Irelands. Fabulous stage presence very elegant and stands out on stage! 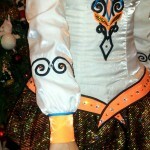 The Celtic design on the front of dress is made up of a sun. 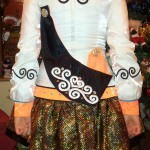 You will see part of the skirt material intertwined throughout the Celtic design on the bodice and back. The cuff at the bottom of the sleeve are tight. They have two Velcro pieces which allows you to tighten them and loosen them. The design on the belt at the front of dress the cross over as I do call it has a number clip underneath it which allows your number to sit in middle of the dress discreetly. The under skirt consists of black netting and material. Comes from a smoke free home. There are no crystals missing and the out side of dress is in immaculate condition. On the inside of neck there is a little bit of makeup which is to be expected. 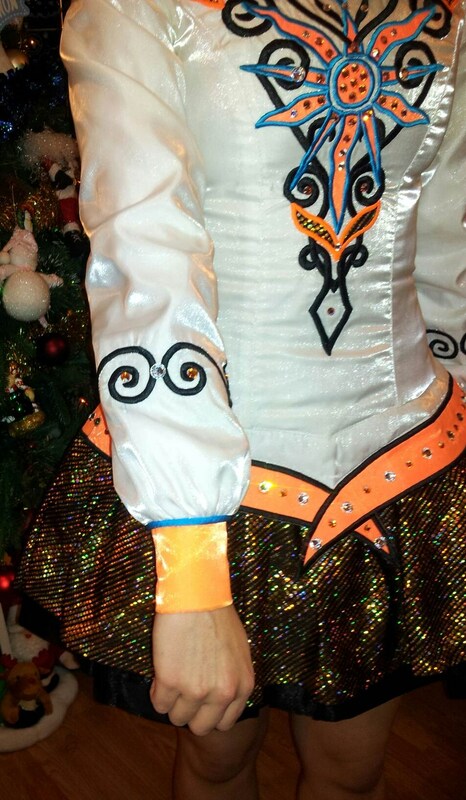 Dress also comes with black tiara filled with clear and orange crystals to match in with dress. I am located in Ireland but would be willing to post to anywhere around the world.